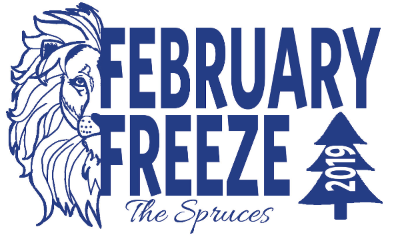 The Town of Williamstown invites you to February Freeze, a family-friendly winter celebration to be held at The Spruces in Williamstown on Saturday February 16th from 11 AM -2 PM. The day will begin with fun cross-country skiing or running race at 11:00 am. Other events are a snow sculpture or scavenger hunt contest, tractor-drawn wagon rides, hot chocolate, s’mores, and food for purchase from EAT, a nature hike at 12:30 led by David McGowan of the Williamstown Rural Lands Foundation, and outdoor games. Snow shoes will be available for use during the event. A fire truck and police cruiser will also be on hand. February Freeze is an opportunity for the public to visit the newest of Williamstown’s parks. The Town acquired the former mobile home community following devastating flooding from Hurricane Irene. The property is now open for passive recreation and enjoyment of nature. February Freeze will be held snow or no snow. Participants may register for the race at online at: https://runsignup.com/Race/MA/Williamstown/FebruaryFreezeSpruces. The cost is $15 and includes a t-shirt. T-shirts will also be available for purchase by non-race participants. Donations will be accepted as well, and all proceeds will be used to support The Spruces and other Williamstown parks. The Spruces is located on Route 2 east of Williamstown center. Parking is available on-site. Look for the stone lions which mark the entrance. For more information, contact the Town office at 413-458-3500.